A very talented Black Panther fan, Darian Robbins set the twitter world afire with his amazing Black Panther / T'Challa magazine covers. The magazine covers are designed to look like real world covers that feature different aspects of T'Challa and his African nation Wakanda. The work on all of this art is ridiculously professional to the point where many fans, including myself thought it was officially done by Marvel. Robbins was interviewed by Polygon.com in which he compared his works to those that appear of Tony Stark in the Iron Man film. "It helped establish his character for the audience and how he would be covered through media outlets that exist in reality," Robbins continued. "I felt that you would have to do the same with T'Challa as well. However with social media and other media outlets you don't have to wait for a movie to do it. In fact, Marvel shouldn't wait to do so. The audience is waiting and in want." Helping the non comic readers getting up to speed on who T'Challa is a great idea. I love Black Panther and Wakanda because it flips the expectation of an African Nation on its head. Instead, of an African Nation that is in the Third world we have an African Nation that is leading the 1st world in technology and economics. 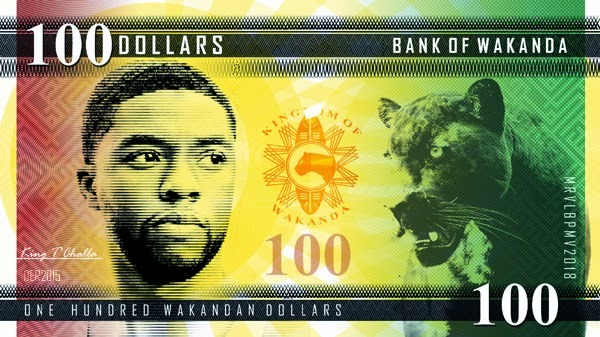 Wakandan power rivals that of other countries. Its interesting and its different and its one of those fun things that sets the Marvel Universe apart. Fan work like this done by Robbins is brilliant because it helps educate the fans before the movie is even release. 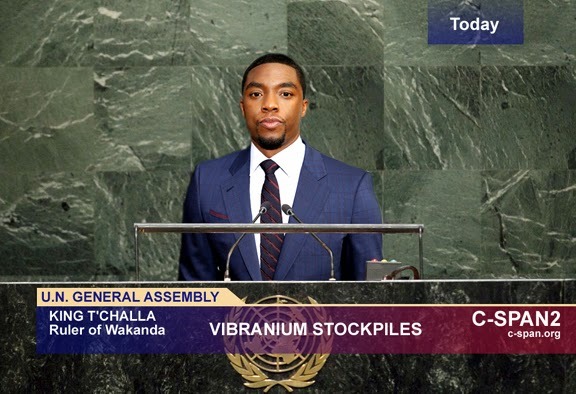 I personally expected some Black Panther tidbits to come out of Avengers Age of Ultron but its nice to see guys like Darian Robbins to fill in that gap.